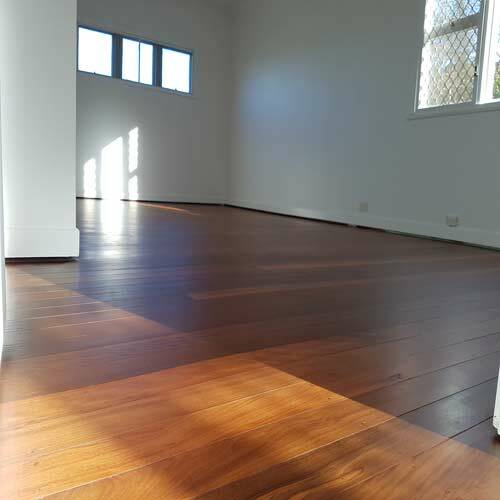 This Aspley floor sanding and polishing job came up like a dream. Be that as it may, there was some water damage next to the bathroom. It was a hardwood floor and also, in otherwise good condition. It also had carpet on it for most of it’s life. Aspley is a suburb in north Brisbane. It has a mix of two story modern brick and older timber homes. This one is one of the older homes. As you can see in this short video, most of this hardwood floor sanded clean. This is despite the home, as it stands is 80 odd years old. The water damage was not severe. In this case rust stains had bled into the timber around some of the nails. In any event, you cannot sand out this type of stain. You can see by the half-rotted skirting boards, it has been an issue for a drawn-out period of time. The skirting boards are Pine timber. For this reason, they have rotted at a faster rate. Rust stains are quite common here and there in older homes. Besides bathrooms, it also occurs in kitchens not to mention fridge recesses. At the same time you can find this condition in toilets, laundries and entry points. As a Brisbane floor sanding company, Economy Floor Sanding’s name was handed to this customer by more than one of his family members. It was by all means satisfying to hear the owner say to me “you’ve got the job” even before I had even issued the quote. During the initial visit and home visit with this client, I pointed out this fault to the client. The client wanted this Aspley floor sanding and polishing job coated in a low sheen finish. This is by far our most popular coating. 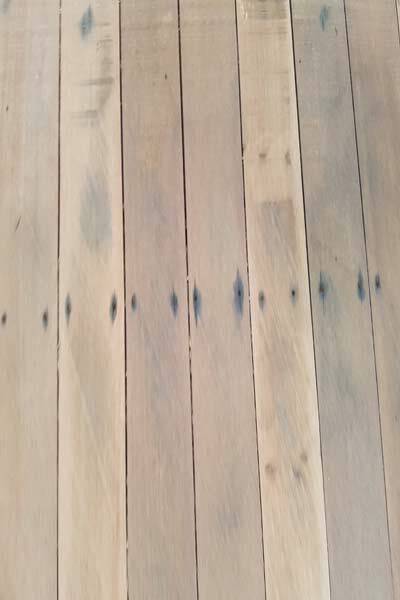 Although it just looks terrific on hardwood timber floors, it also had an elegant sheen. This finish also has a modern look and also the added bonus of hiding dust. For the most part higher gloss finishes tend to show the dust more. Expect a thorough quote outlining the full scope of work. Also, the quoted price is the total amount, with no hidden costs. Every aspect of the work is factored in so there are no surprises. For example, if a floorboard needs replacing or bracing, I will take the time to show you. Also, I will explain why we should repair it. Right from the word go, we offer up-front honest advice.